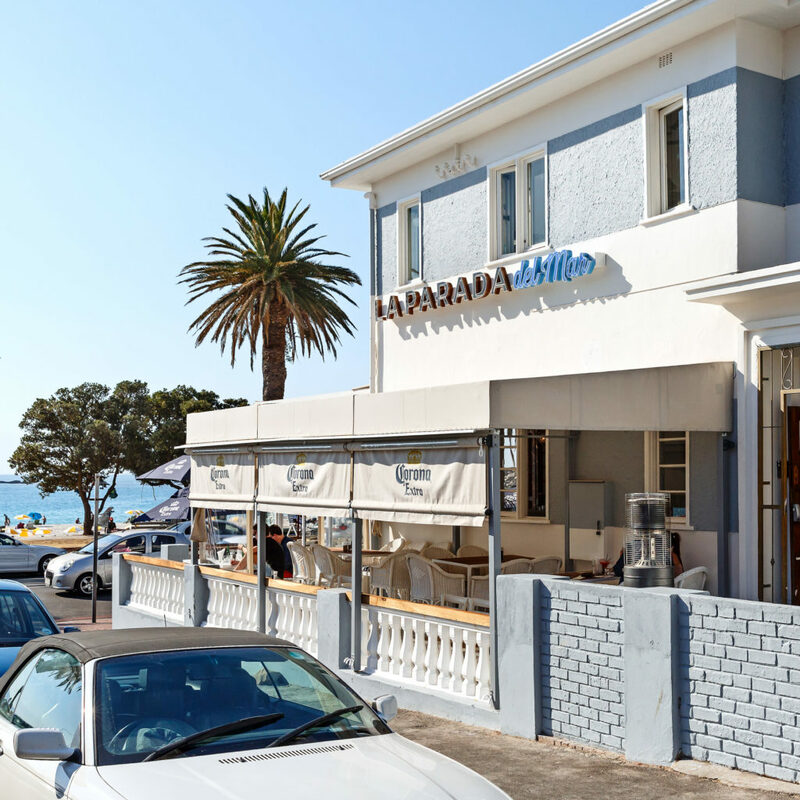 La Parada del Mar occupies a prime position on Camps Bay’s glamorous seafront strip, just steps from the powder-white sands of Cape Town’s sought-after Atlantic seaboard. 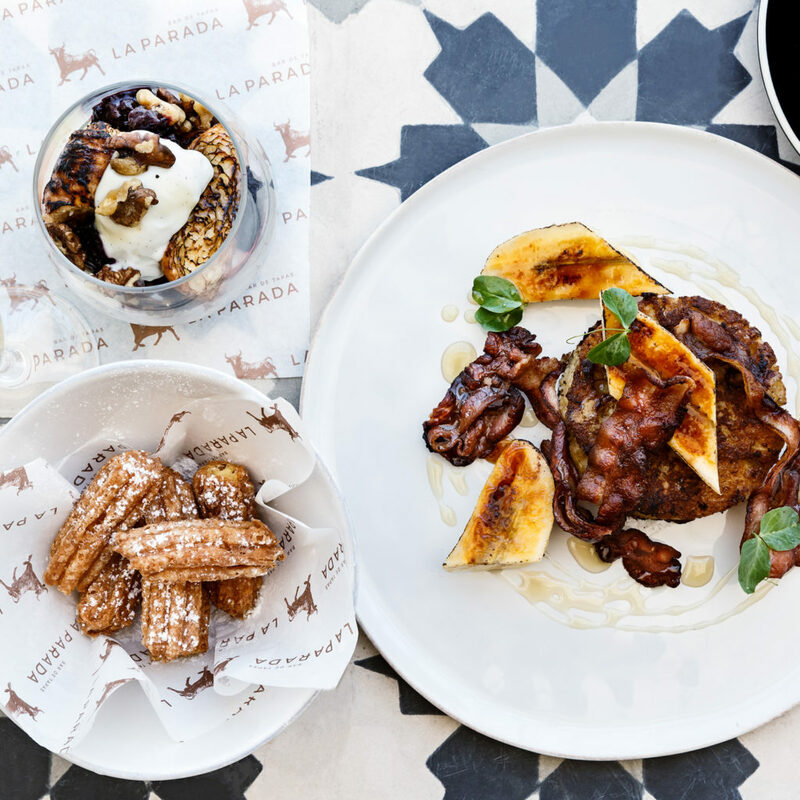 Unsurprisingly, this new opening stands apart from the sultry Spanish flavour of the original La Parada Bar de Tapas on Cape Town’s trendy Bree Street or Constantia Nek. 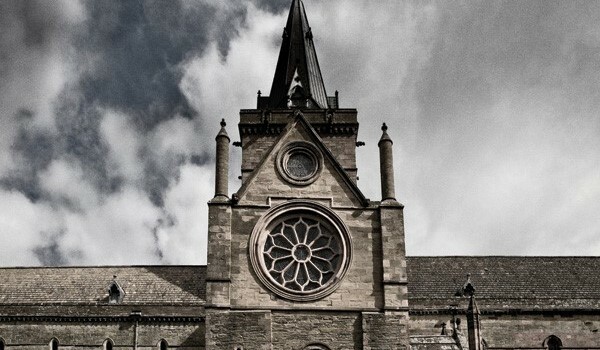 And it is certainly a venue of individual spaces. 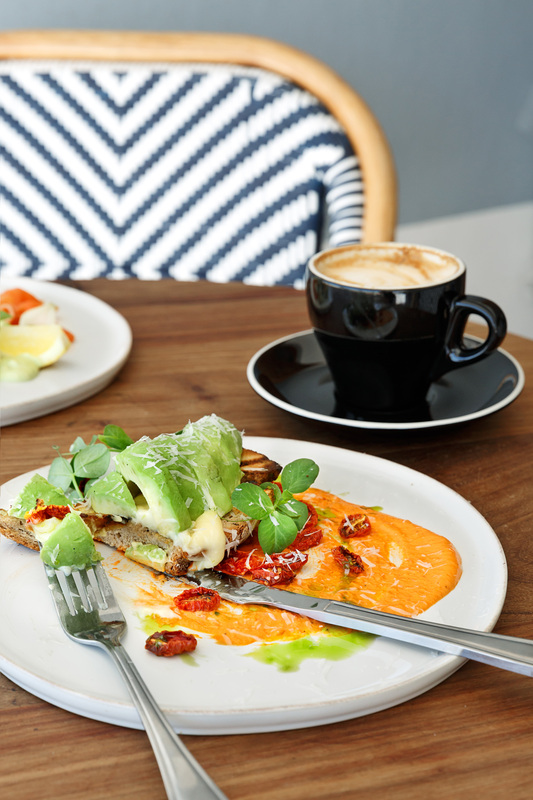 Café tables at street-level are popular for people-watching and soaking up the buzz of Camps Bay’s glorious beachfront. Just a few steps away, the barmen behind the mosaic-clad Bombay Sapphire bar whip together their signature Gin & Tonic Del De Barra; the classic cocktail given a lift by mango, rosemary, grapefruit and orange zest. 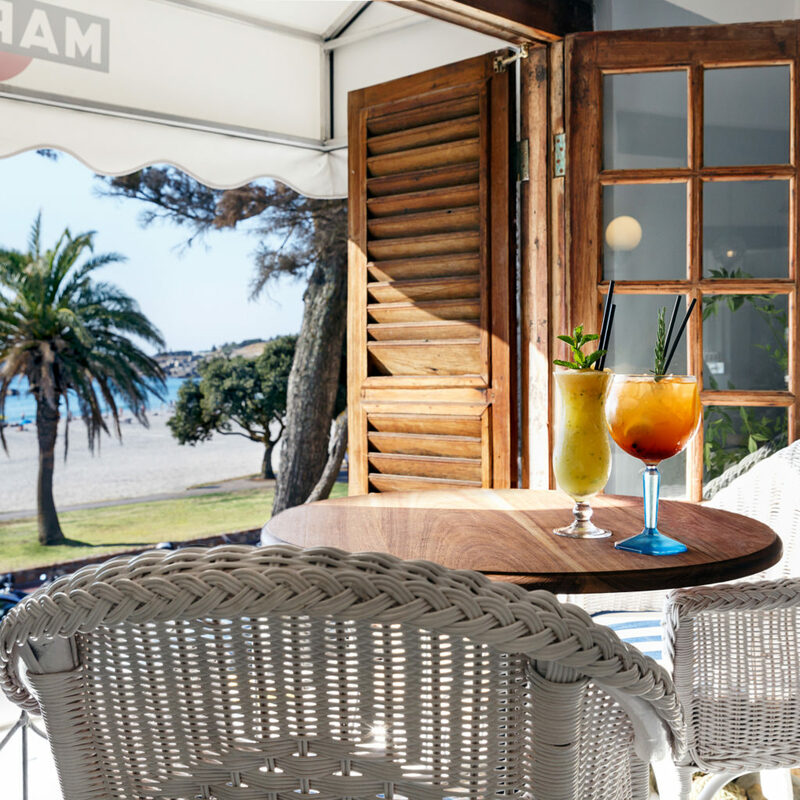 Upstairs, La Parada del Mar leans a little more upmarket: more Fabiani loafers than sandy Havaianas. 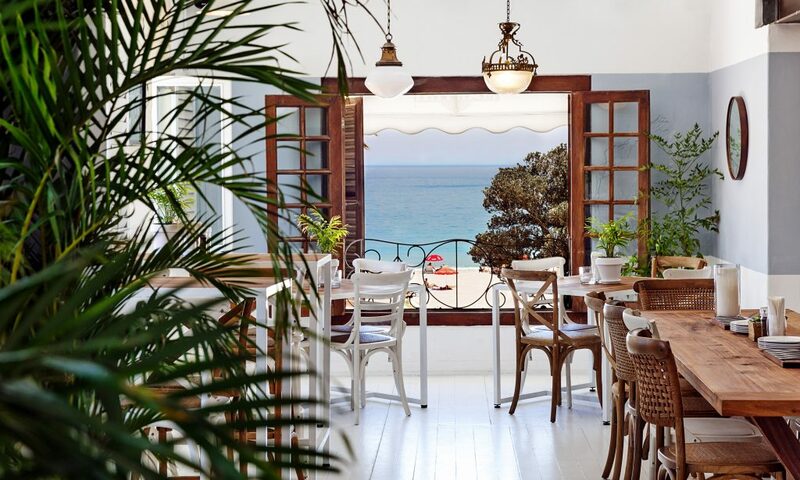 A space where raw wood shutters swing open to reveal panoramic views over Camps Bay beach, waving palms and cobalt blue seas. Little wonder it’s already proving popular for private functions from birthday celebrations to intimate corporate events. It’s also fast becoming the most popular spot on the strip for banishing the Sunday blues, with a DJ spinning sultry seaside tunes from the afternoon into the early evening each Sunday. 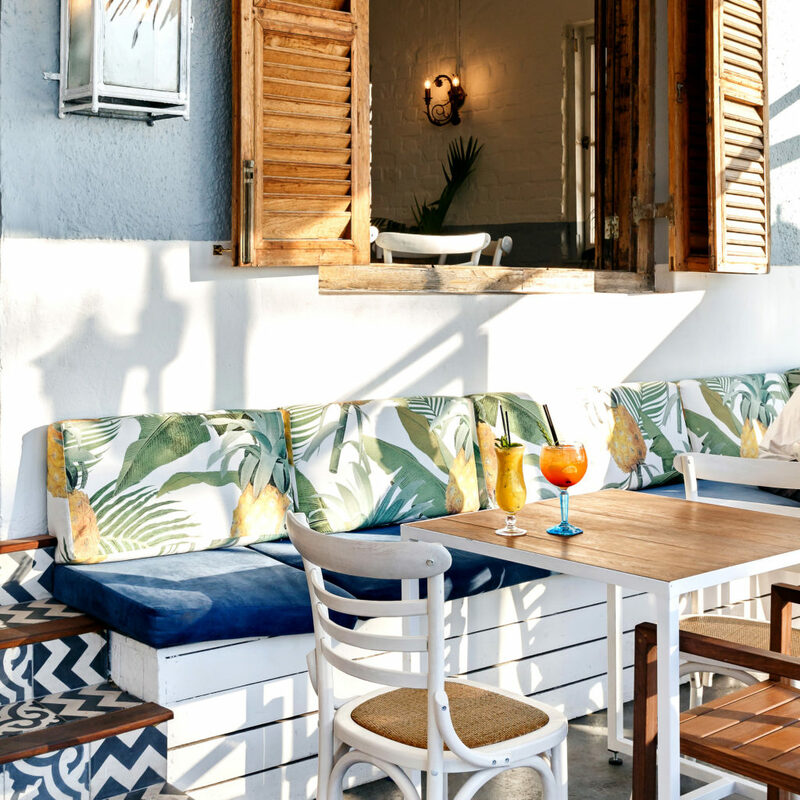 Dominating one wall, is the elegant Grey Goose vodka bar where suave barmen in suspenders and Panama hats shake up an enviable range of vodka-infused sundowners, like their Cosmopolitan with triple sec, cranberry and fresh lime. 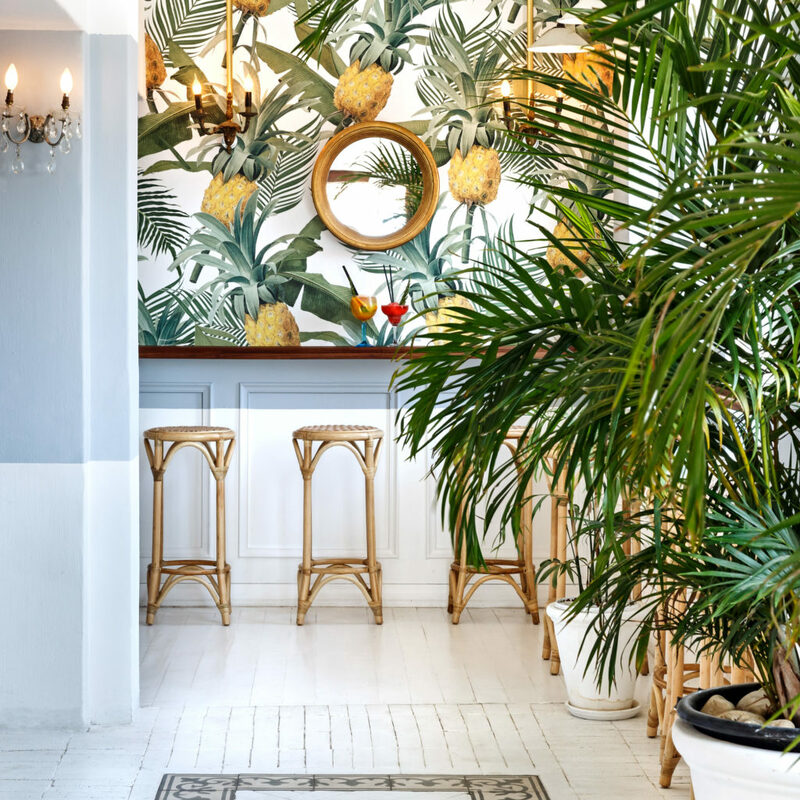 Equally eye-catching is the quirky pineapple-motif wallpaper from Designer Soil & Co.‘s Robin Sprong Wallpaper Collection. 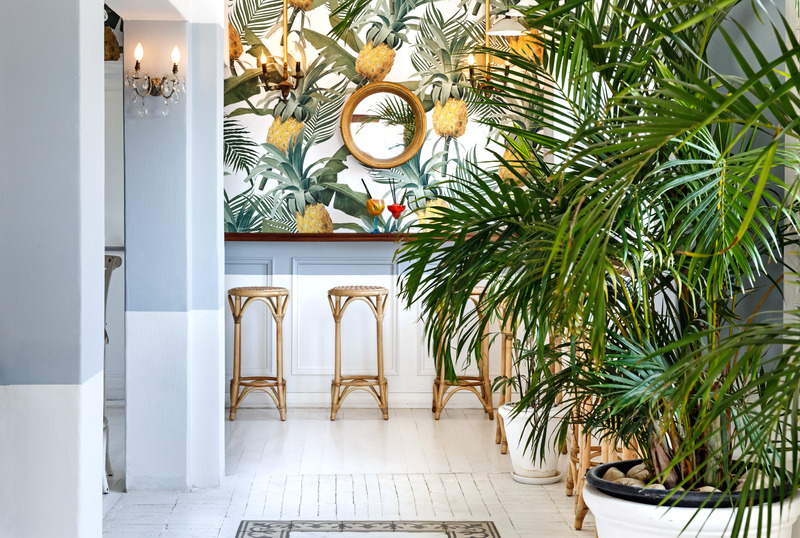 While subtly linking the two spaces, it’s also a stylish counterpoint to the exposed plaster that adds urban edginess here; a nod to the building’s heritage and a visual cue reminiscent of the original La Parada in vibey Bree Street. Similarly, the long custom-made tables upstairs, coming together to cater for large celebrations or making way for private cocktail functions, add a certain flair to the place. 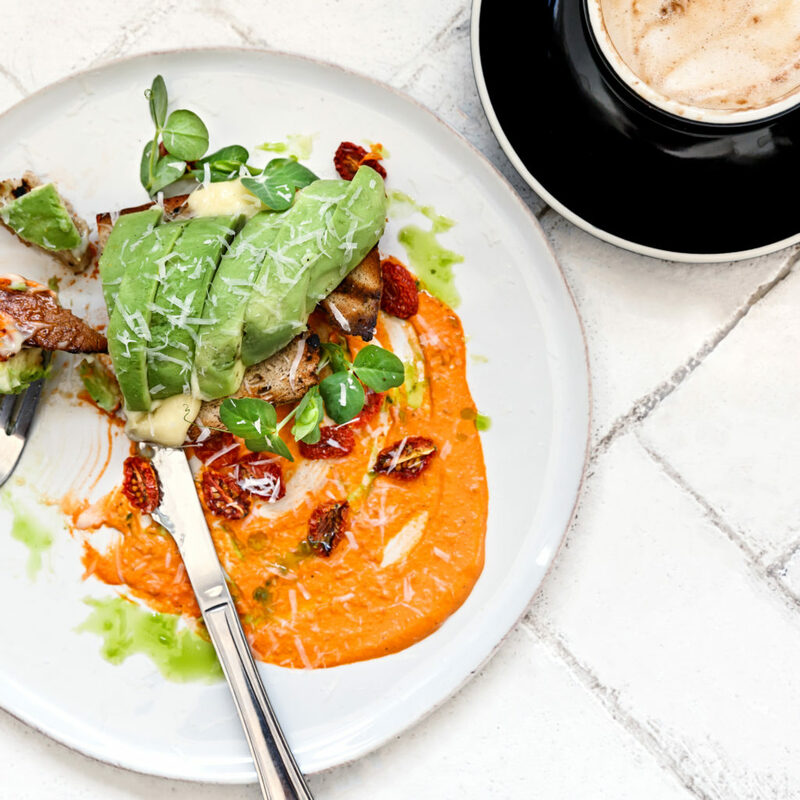 These communal tables also reflect a sharing philosophy on the revamped menu from La Parada’s Executive Chef, Martin Senekal. 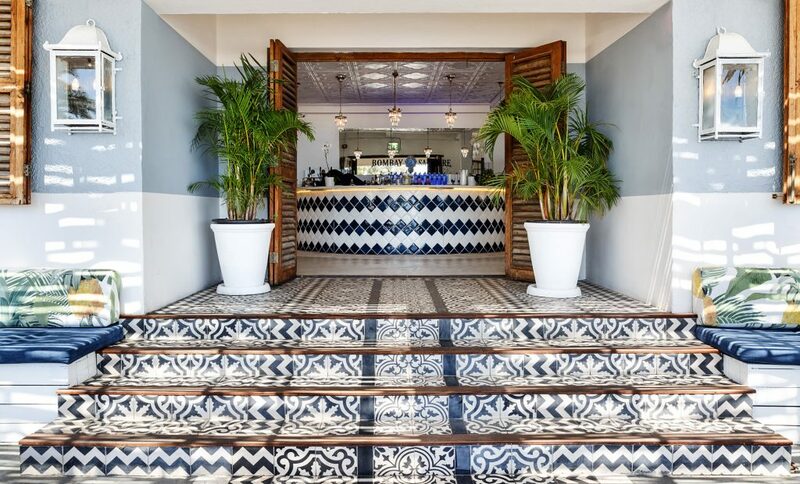 Regulars will find that Senekal has pushed the level of cooking into a new league at La Parada del Mar. 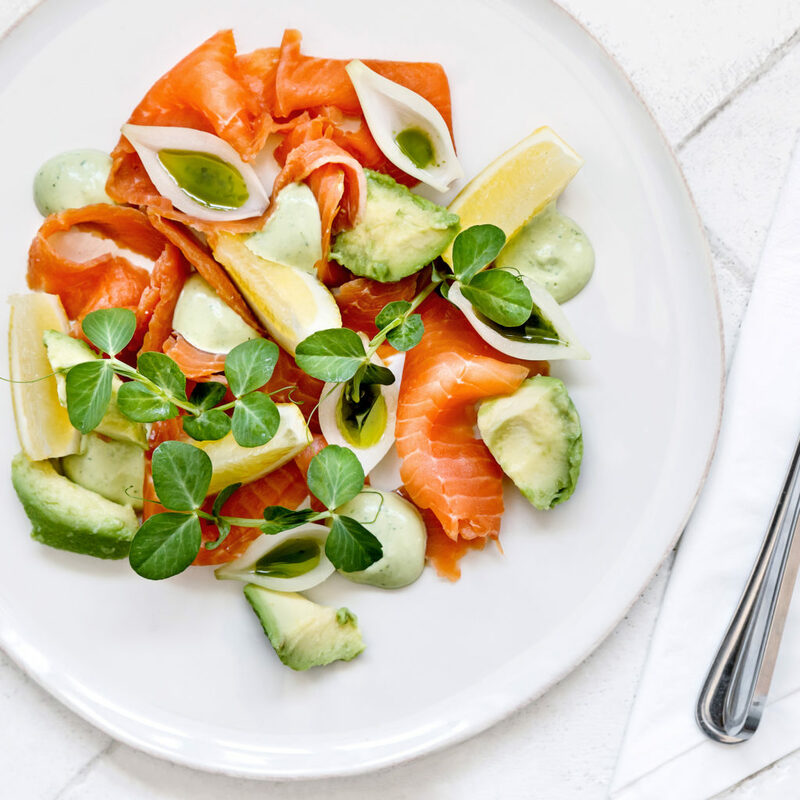 Flavours are bold, yet perfectly balanced, while plating retains the focus of traditional tapas with a welcome dose of Camps Bay panache. And there’s no shortage of delectable fruits de mer on the extensive selection of tapas plates. Charred Octopus is slow-braised and flame-grilled, then served with a delicious dried tomato pesto. Plump Saldanha Bay mussels require a little more than a splash of steaming white wine, garlic and parsley. The freshest line fish is grilled, served simply with a spring onion salsa and crushed tomatoes, then drizzled with extra virgin olive oil. Fresh tuna is sesame-crusted and seared, plated with a salad of fine beans and green olives with a citrus dressing. 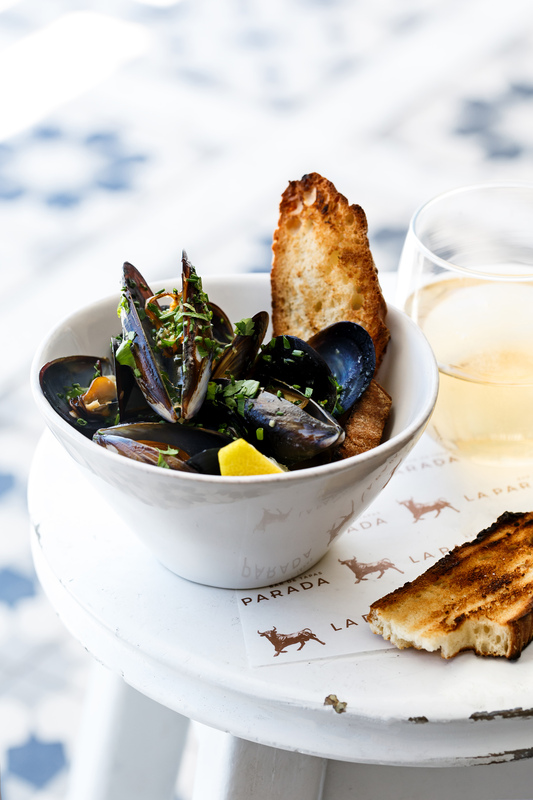 “With the seaside location, we wanted to incorporate more seafood on the menu, compared to other branches of La Parada,” explains Senekal, who says that more than half the menu is unique to La Parada del Mar. 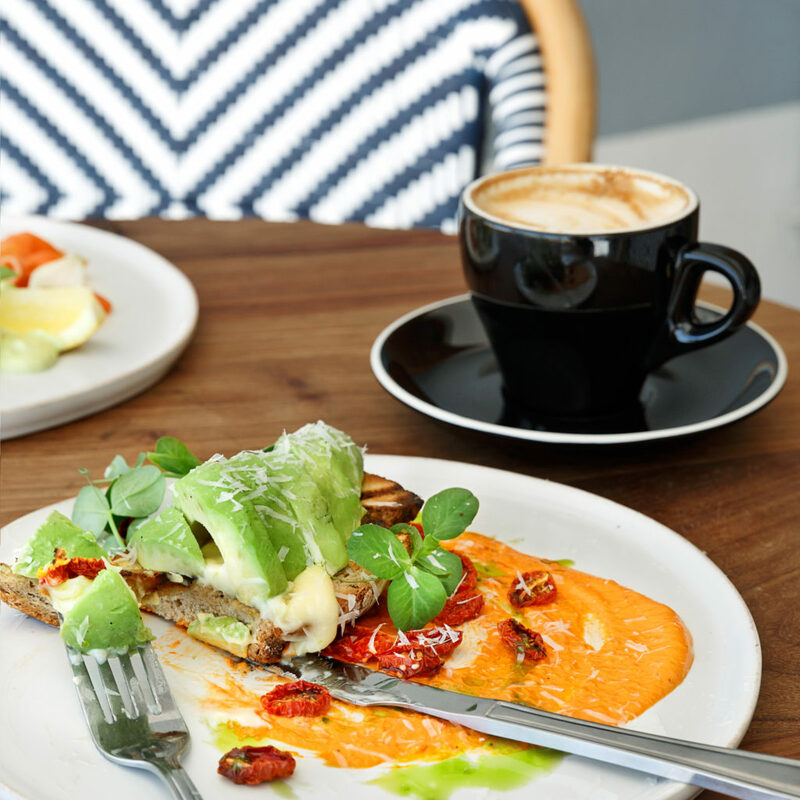 Alongside the tapas options are larger Plato Principal (mains) crafted for sharing. 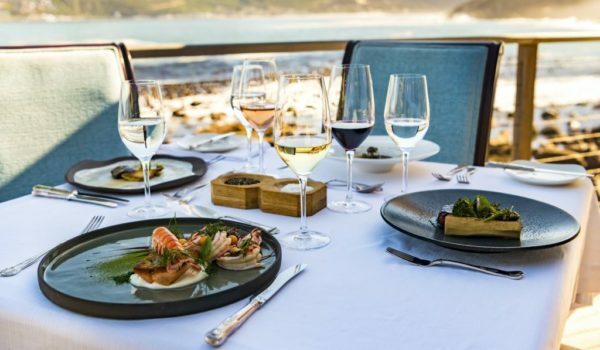 Here, two-dozen salt-grilled prawns arrive with zesty salsa picon for a seafood feast, while an 800g prime rib on the bone will satiate even the hungriest beachgoer. 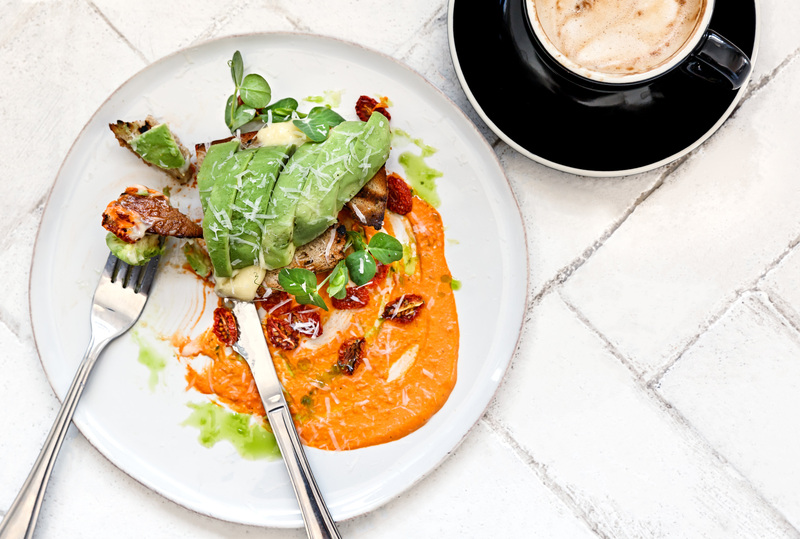 Together with a compact Spanish-inspired breakfast offering, the menu also embraces the culinary trend towards low-carb high-fat (LCHF) dining, with a brace of dishes that cut out carbohydrates. 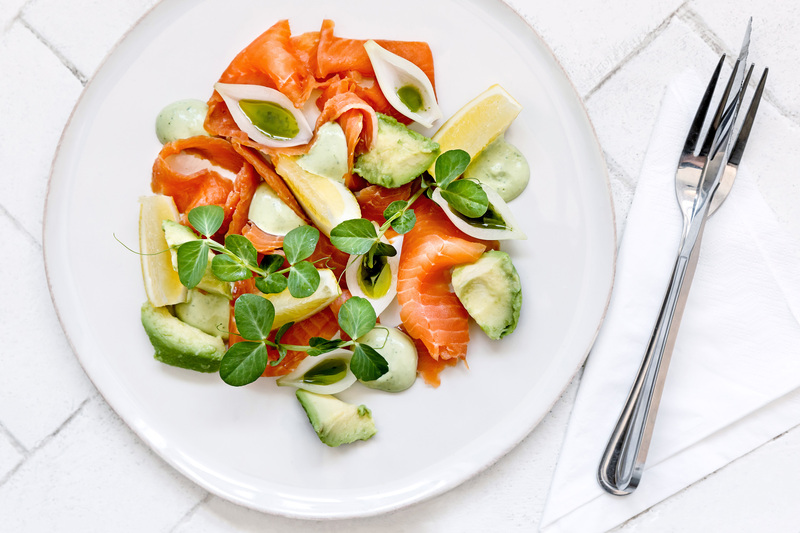 These dishes, clearly marked on the menu, are also gluten-free and low in sugar. Even the dessert menu boasts a delicious LCHF option, a Baked Vanilla Bean Cheesecake. But for Hedonists there’s no shortage of temptations: the traditional Crema Catalan with Palmera biscuits is always a hit; provided you can resist the siren song of Churros with Salted Dark Chocolate, that is. 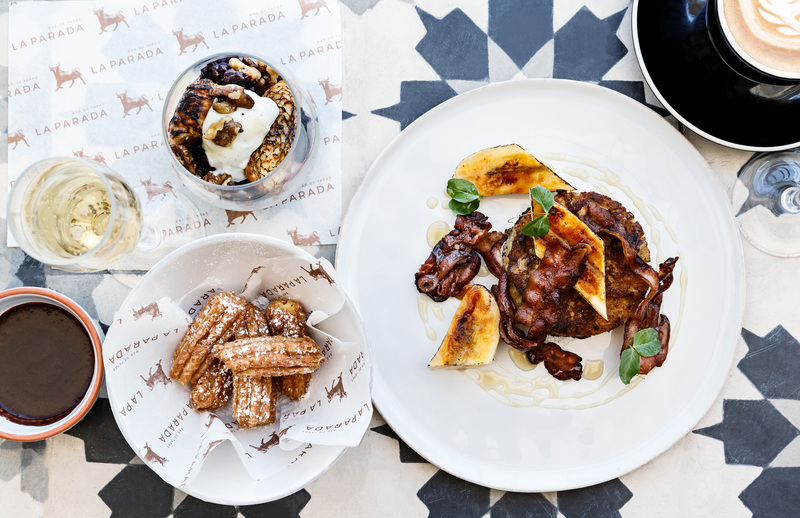 Winter months will see the menu shift focus to heartier dishes – perhaps Catalan Short Rib braised with Smoked Olives and Fennel, suggests Senekal – but the focus will always remain on interpreting and reinventing traditional Spanish flavours that remain true to the spirit of La Parada. 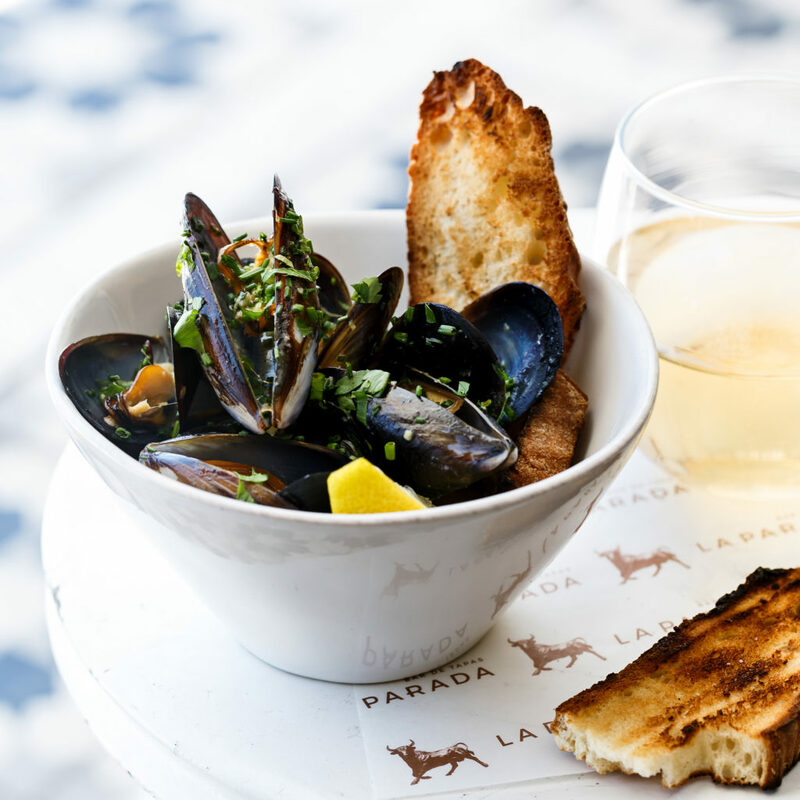 “Although only open a few weeks, La Parada del Mar has quickly grown a loyal following on the sought-after Camps Bay strip. 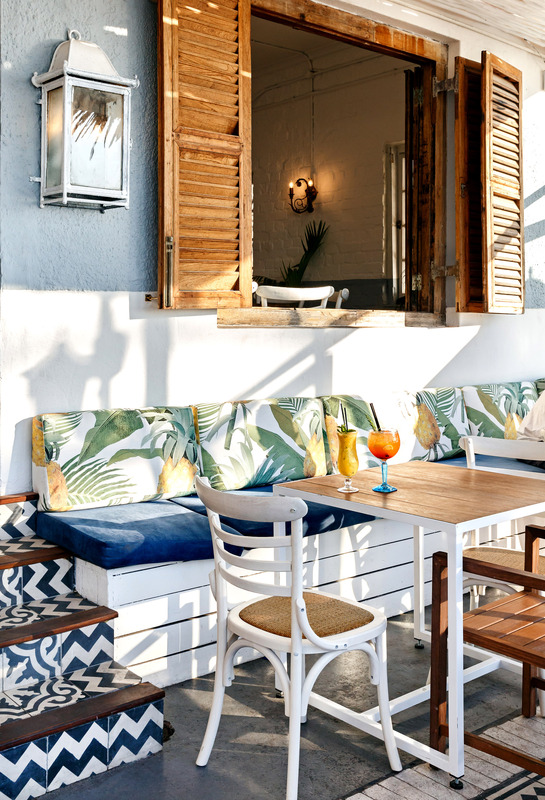 And perhaps unsurprisingly for this seaside outpost of Harbour House Group, this is just the first phase of the journey for La Parada del Mar,” says Stuart Bailey, Brand GM for the group. 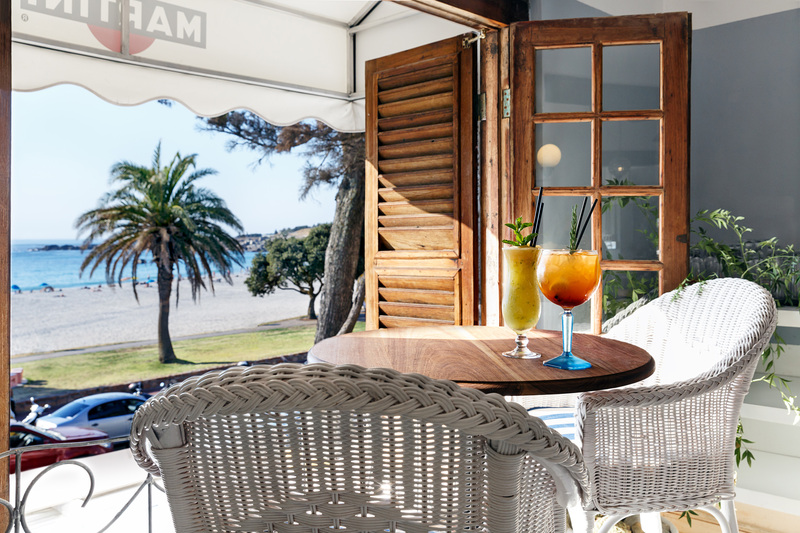 This winter will see the shutters closed for a few weeks as a spacious wrap-around deck is added to the first-floor, offering unbeatable sea and mountain views and expanding the number of al fresco tables on offer for next summer. 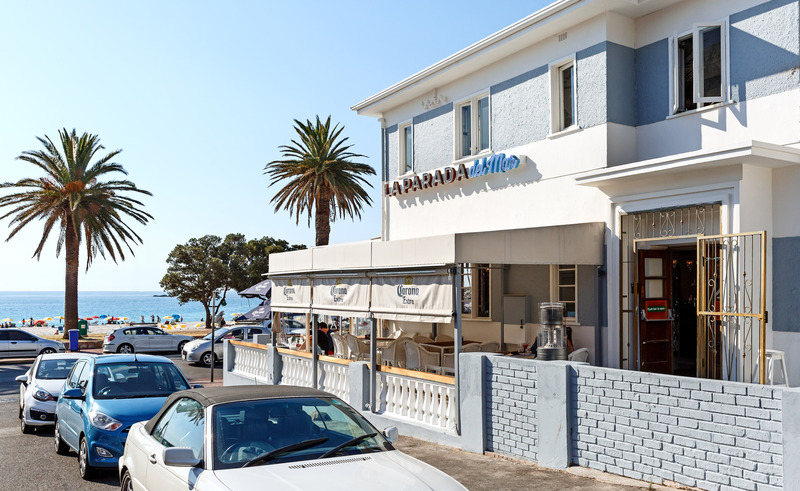 La Parada del Mar is situated at 35 Victoria Rd. Camps Bay, 8005. 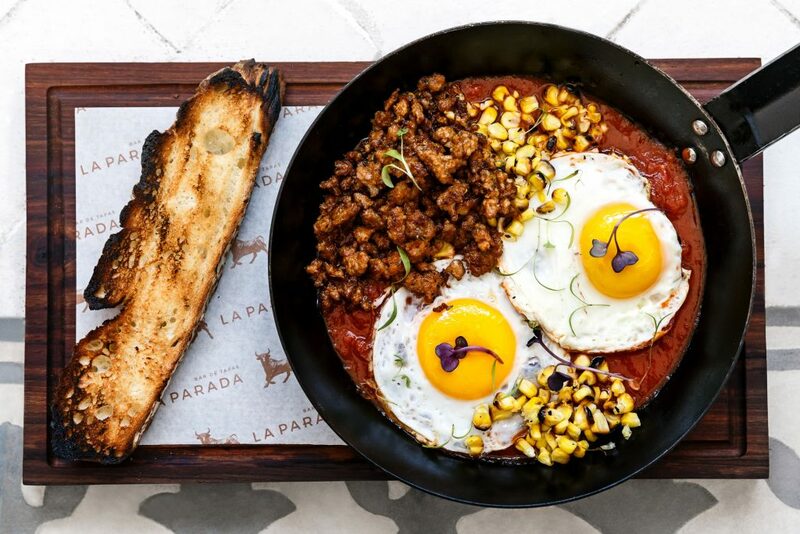 For reservations call 021 286 2106 or send an e-mail campsbay@laparada.co.za. Open from Monday to Sunday from 8am until 2am.